System Overload Robotics is a Boy Scouts of America Explorer Post chartered by Robot Garden in Livermore, CA. We are a community team with members that span across the Tri-Valley and beyond. We compete in the high school level FIRST Robotics Competition, and our goal is to spread STEM education across the Tri-Valley. 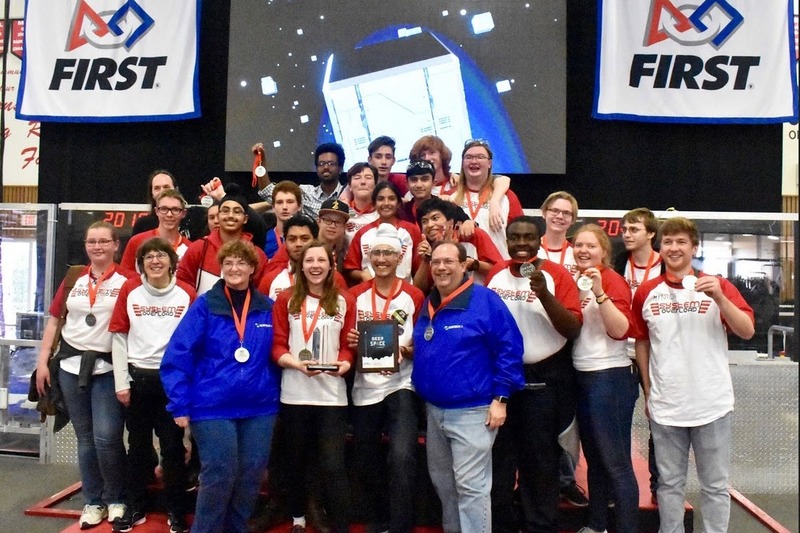 On March 24, 2019, System Overload Robotics officially qualified for the First Robotics World Championships in Houston from April 17th to 20th. Through trials and tribulations, System Overload finally managed to achieve their goal after 4 years, but there is still much to be done. In order to compete at the FRC World Championships, System Overload must not only pay a $5,000 registration fee, but also fundraise in order to purchase new tools, parts, and transport our robot along with organizing transportation and logistics for our team members. If we are not able to make this goal in the next few weeks, we will simply not be able to attend the competition. The payment deadline for World's is Wednesday, March 27, so we are already short on time! By donating to this campaign, you are supporting the creation of a learning environment that educates students and fosters new ideas, and we are committed to inspiring students through engineering projects and real-life work, such as the First Robotics Competition. For our team, competing in the World's Championships is the realization of that dream, and it would mean, almost literally, the world! For our team members, this team has meant everything to them over the last several months, and it would be a shame for the dream to end here. So let's go to World's and show them what our students are capable of! Our website is frc6059.com, and we have Twitter, Instagram, and Facebook accounts at @frc6059.